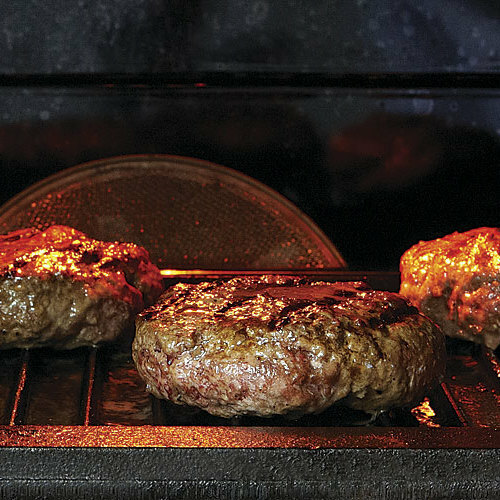 When it’s too cold to grill outside, you can mimic the flavor of barbecued chicken with your oven broiler. 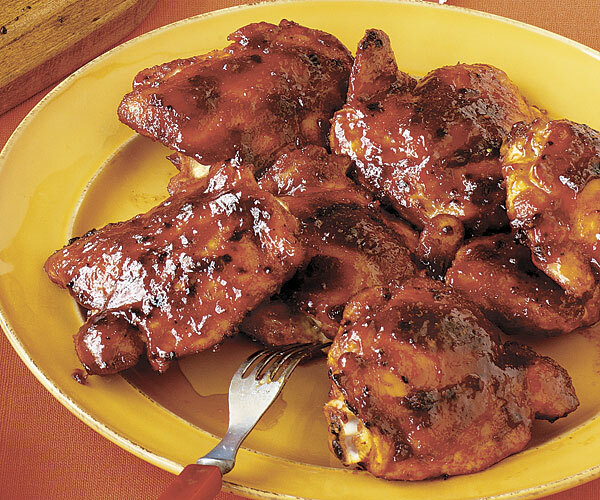 Between the smoky spice rub and the sweet-hot barbecue sauce, you’ll never miss the grill. In a small bowl, combine the paprika, sugar, garlic powder, onion powder, chipotle powder, 1-1/2 tsp. salt, and 1/2 tsp. pepper. Arrange the chicken on a platter or baking sheet, sprinkle both sides with the spice rub, and pat gently. Cover with plastic wrap and refrigerate for 2 to 3 hours. Brush both sides of the chicken with oil and arrange skin side down on the pan. Broil for 5 minutes. Flip the chicken with tongs (rearranging them if the broiler heat isn’t even) and broil until they’re barely pink inside when cut into, 4 to 5 minutes. Brush the chicken with some of the sauce and broil until the sauce begins to caramelize, 1 to 2 minutes. Flip and brush the chicken with more sauce; broil until they’re just cooked through (165°F), and the sauce is nicely caramelized, 1 to 2 minutes more. Transfer the chicken to a clean platter and let rest 10 minutes before serving. The sauce can be made up to 1 day ahead and refrigerated. Chicken skin tends to cause flare-ups in the broiler, so be sure to remove it. I make as written but I make the sauce in large quantities and can it as it’s better than any store-bought. It’s our go-to BBQ sauce. This recipe is outstanding. I use it as written, but I also use it on whole chickens that I rotisserie on my barbecue. I put the rub on the chickens (inside, under skin and on top of skin) about 2-3 hours before I intend to cook them and stick them in the refrigerator. I baste with the sauce in the last 2 minutes of cooking and then serve leftover sauce on the side. If you like a sauce with a little more tang, try doubling the vinegar.